Description: The Sea to Summit Ultralight Insulated Mat provides a lightweight option with incredible insulation that makes for a cozy night sleep in the backcountry. In college, I used the Therm-a-Rest ProLite Sleeping Mattress (size large) and it served its purpose. But, it was really heavy, weighing in at 1 lb 8 oz. Later, I used it for a part of my thru-hike. After 1000 miles, I parted ways with my Therm-a-Rest Prolite and switched to a Sea to Summit Ultralight Insulated Mat. Now, after hiking with it on the Appalachian Trail and beyond, The Sea to Summit Ultralight Insulated Mat is my go to lightweight sleeping pad. 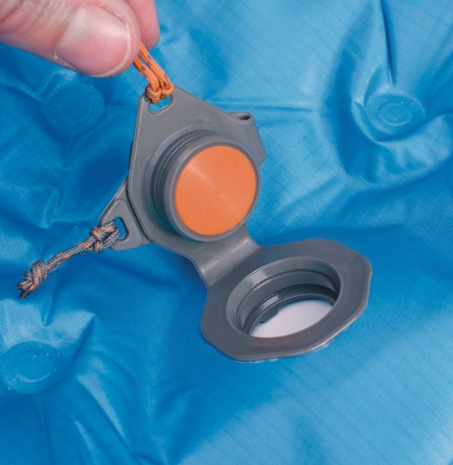 Inflating and deflating the Sea to Summit Insulated Ultralight Mat is a breeze, thanks to the one-way valve. Typically, it’d take me about 12-17 big huffs of air to get the mat to my desired firmness. In comparison, the Sea to Summit Insulated Ultralight Mat was faster and easter to set up than the Therm-a-Rest Prolite Sleeping Pad. Plus, I didn’t feel like I was going to pass out after (its hard work, really). Most notably, the easy release valve allows the mat to delate in a matter of seconds. Personally, I choose to remain in my sleeping bag, opening the valve and BOOM, on the ground, deflated. Conversely, if you simply open the valve it will deflate. In addition, the design of the valve squeezes the air out, compacting the mattress into a 4×9 inch blob. Insulation: From using it on the Appalachian Trail, the Sea to Summit Insulated Ultralight Mat R-Value of 3.3 delivers with its Thermolite Insulation and, Air Spring Cells and Exkin Platinum to reflect radiant heat.Above in the specs, the R-Value is listed at 3.3 But, what is R-Value and why is it important for sleeping pads? Well, r-value is a measure of heat’s ability to transfer through insulation. Thus, the greater the R-Value, the greater the insulating capacity is to resist heat flow. Moreover, a sleeping pad is your barrier from the cold ground. Coupled with a sleep bag, the insulating magic is real even in freezing temperatures. 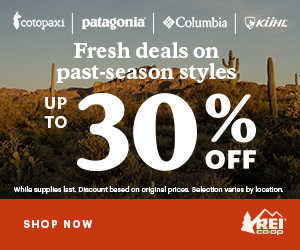 Durable: The 40-denier ripstop nylon fabric offers a durable fabric at a reasonable weight. Plus, it’s coated with a solution to prevent the nylon fabric from delaminating. Did I mention it comes with a field repair kit, including six adhesive pads and a spare valve flap? Bonus! Yet, I chose not to carry the repair kit because of the weight. Even better, I get any holes or damage on the mat. To get the most use from your sleeping pad, learn how to take care of Sea to Summit Ultralight Insulated Mat. Squeak: Disclaimer: I move around A LOT when I sleep. And, Sleeping pads can be squeaky. This one is no exception. In REI, I tried out multiple sleeping pads- including the Therm-a-Rest NeoAir and found the Sea to Summit Insulated Ultralight Mat to be the quietest of the bunch. Although, I complain about it being squeaky, this sound ultimately did not prevent me or my hiking partner from sleeping. Honestly, I slept great on this mat. Weight: Alright, it’s heavier than the popular Therm-a-Rest NeoAir which weights 12 oz, 3.5 oz less than the Sea to Summit Insulated Ultralight Mat. However, the Sea to Summit Insulated Ultralight was $30 cheaper and that was how I made my decision between the two after testing them out in the store. For 3 oz and $30 in my pocket, I really didn’t see a big difference. In conclusion, I love my Sea to Summit Insulated Ultralight Mat for backpacking trips. Not only is it lightweight, it’s durable and retains body heat like no other. I, value a good nights sleep and attribute this somewhat to my backcountry bed aka the Sea to Summit Insulated Ultralight Mat. One last note– I want to point out how important it is to try out gear like sleeping pads ahead of time. Seems like, comfort is an individual choice and what one person may rave about- you may dislike. Thus, try out different brands and sizes to find what’s comfortable for you. REI Flash insulated pad is less expensive, more durable, MUCH LESS NOISY, and packs down just a bit larger. Do your trek-buddies a favor and buy a quiet pad, not this noisemaker. After all, it’s not all about you. Hey Gil, thanks for the suggestion! I don’t think I had the opportunity to try out the REI Flash insulated pad- with a r-value of 3.7 at 15 oz and $100 that is a great option. I will have to give it a try. 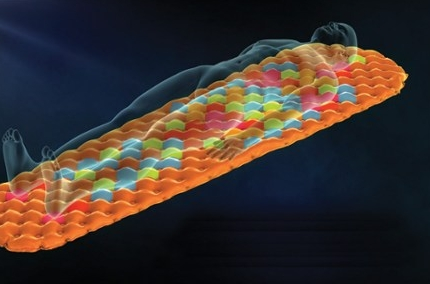 In general, sleeping pads do squeak when people move around. 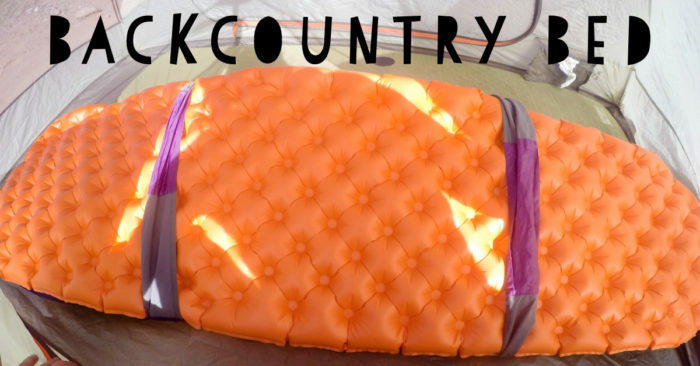 Certainly, the noise can be frustrating but sleeping pads/finding one you like is important. If the noise is bothersome, thru-hikers often wear ear plugs–helps drown out squeeky sleeping pads, snoring and other noises that might wake you up! Nice reply, very professional. Thanks for the review! Hey there, thank you for the kind response! I love reviewing gear and hope to help others in making gear choices. I have the large size of this pad and love it. I’m not overly tall but sleep on my side with one arm over my head and have found this so comfy for my shoulders and hips. This was a great review. Thank you for the dilligence and facts.